I created my first instructional videos in-house for the Adobe Photoshop 3.0 Deluxe CD-ROM in 1993. They were 512 x 384 pixels, compressed with Cinepak compression, and just barely streamed smoothly from the very fastest CD-ROM players of the day. We've come a long way, baby! 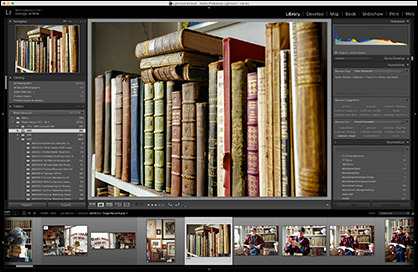 You can think of the Lightroom Library videos as your manual to the Library module. Every feature is explained, including comprehensive coverage of how to use keywords, metadata, file renaming, search, and collections. A basic photo library setup for photographers is outlined, as well as backup and archiving strategies. This set of 18 videos was not updated for Lightroom 6, because frankly, the only substantial changes to the desktop version was the addition of facial recognition and mobile syncing, which I do not cover. Think of the Lightroom Develop videos as your manual to the Develop module. Every feature is covered, panel-by-panel, from top-to-bottom. This series contains detailed discussions not found in other videos or books, including a full analysis of Lightroom defaults, soft-proofing, lens corrections, and the complex interaction that local corrections have with global corrections. 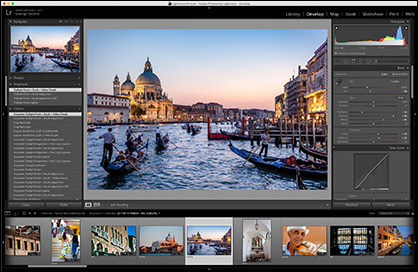 Includes an overview of the new features added in the Lightroom 6/CC update. Watch these videos and gain a complete understanding of the 2012 Process Version Highlight and Shadow controls. The Image Correction Master Class is your guide to making your pictures look great! If you want to learn professional techniques for squeezing every possible ounce of perfection out of your pictures, this is your video series. 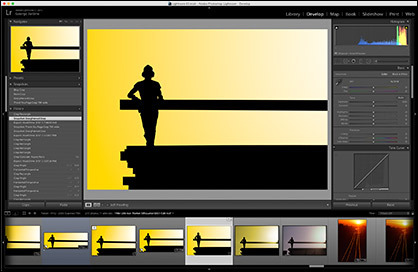 Take a dive deep into the complex interactions between the various raw processing tools in Lightroom, and gain a complete foundation of knowledge for your image correction. In this series we also explore a couple of lesser-known frequency separation techniques for making your portraits look great using Photoshop. The Photo Plus East conference was the ideal place to wrangle Greg's friends from across the industry to make cameo appearances for this video. Personalities include Stephen Wilkes, Eric Meola, Jay Maisel, JP Caponigro, Seth Resnick, Chris Murphy, Bert Monroy, Julieanne Kost, Andrew Rodney, Katrin Eismann, Mac Holbert, Maki Kawakita, and many others. If you know Greg, you'll get this video. If not, viewer beware. Greg's Mendocino workshops are legendary. In this video we sit down with the master himself, for an inside look at what makes Mendocino a world-class workshop location, what the students learn, and about the knowledge, culture and workshop experience the students take home. Take a journey into a truly professional fashion shoot in London. In this video we interview Martin to get inside his thinking about his choice of models, lighting, background, and styling for his Lightroom book cover photos. An exciting look at one of the world's top fashion photographers at work. Finally, be sure to check here, for a complete list of all my free videos and magazine articles.